Scrubbing and waxing your floors will keep them looking like new. Flooring surfaces, such as VCT (vinyl composition tile), marmoleum, linoleum, etc. typically need several coats of floor wax to protect the flooring material from the wear and tear of shoes which track in dirt, sand and other debris from outdoors. One of the less expensive ways to keep your floors looking good is by having them scrubbed and waxed, versus stripping them. Scrubbing and waxing your floors is another way to help combat scratches, scuffs and dirt in between floor stripping cycles. Scrubbing is also known as deep scrubbing or top scrubbing. The goal of the floor scrubbing procedure, is that it removes deeply embedded soils from the floor and prepares it for added layers of floor finish. Floor scrubbing should be done when there is not enough floor finish left on the floor to respond to burnishing or spray buffing. A scrub and wax procedure is part of the interim maintenance portion of your floor care and maintenance program, and there are multiple benefits to performing this kind of floor maintenance. Scrubbing and waxing your floors will protect your investment, enhance your establishment’s overall appearance, preserve the life of your floor and improve resiliency. 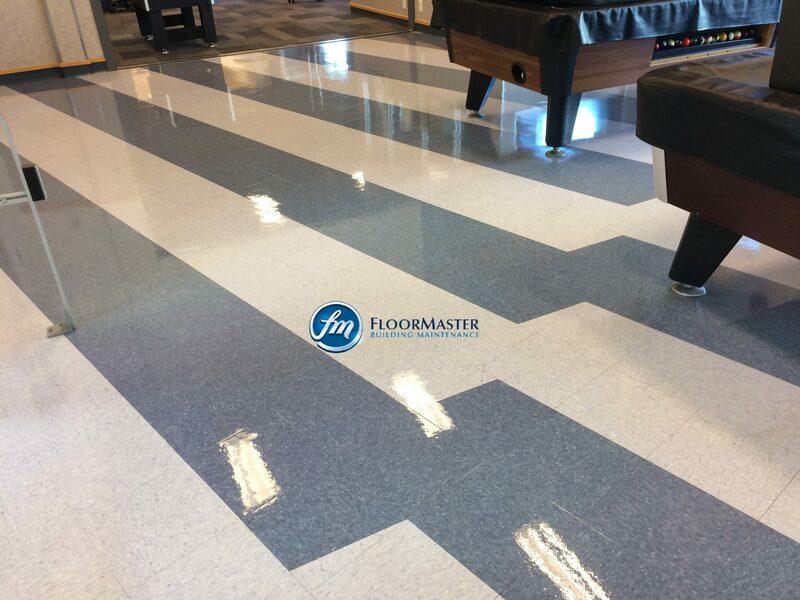 Floor Master Building Maintenance Ltd specializes in floor scrubbing and waxing. We are a full-service commercial floor care company with a carpet cleaning division. Call us today for more information or to schedule your free estimate.